Please input your name and email below, along with your question, information request, bulk book orders or speaking inquiry, and we will get back to you ASAP. You can also contact Wendy LeBolt, PhD, by email: Fit2finish05@gmail.com or @ 703-298-2820. 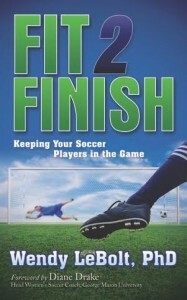 Thank you for investing in the health of your athletes by partnering with Fit2Finish.